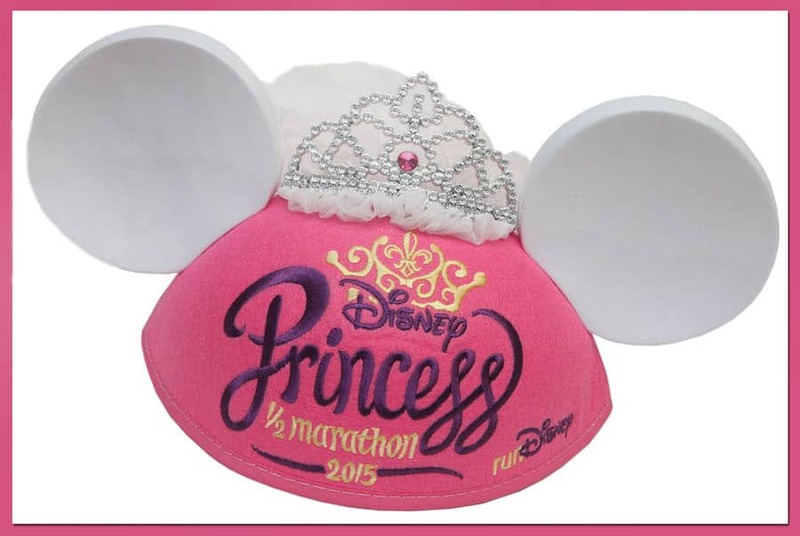 I’m looking forward to the Disney Princess Half Marathon Weekend 2015 at Walt Disney World Resort that will be held February 19-22. My fiancée will be participating in the Glass Slipper Challenge, so I’m excited to cheer for her and other runners throughout the weekend. She recently asked me about the merchandise that will be offered during the event, so I visited the merchandise events team to get a sneak preview. 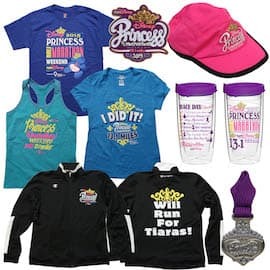 Like previous year’s events, we will offer a variety of apparel items with the Princess Half Marathon logo including T-shirts, jackets, tank tops and headwear. There will also be drinkware, pins and a necklace. I like the colorful new ear hat with an attached veil. There will also be an ear hat with Olaf for the Kids’ Races. You may recall that we released a blue, runDisney-themed retail MagicBand during the Walt Disney World Marathon weekend in January. I’m happy to share that item will return along with a new pink MagicBand. Both of these items are limited release and will have a retail of $24.95 each. They can be “linked later” which makes them perfect gifts for someone training for a future runDisney race at Walt Disney World Resort. For those participating in the Glass Slipper Challenge, you will also find apparel and home goods. I think the taglines on the backs of both running jackets are great! We will also release a variety of Sweaty Bands and Bondi Bands containing event logos. The D-Tech on Demand boutique in the Marketplace Co-Op at Downtown Disney Marketplace will also offer unique artwork for guests. You can create and customize a case for the following mobile phones: iPhone 4/4S, iPhone 5/5S/5C, iPhone 6/6+, Samsung Galaxy SIII, Samsung Galaxy S4 and Samsung Galaxy S5. Finally, we’ll have a few new Disney Princess-themed Dooney & Bourke handbags designed by Disney Design Group. 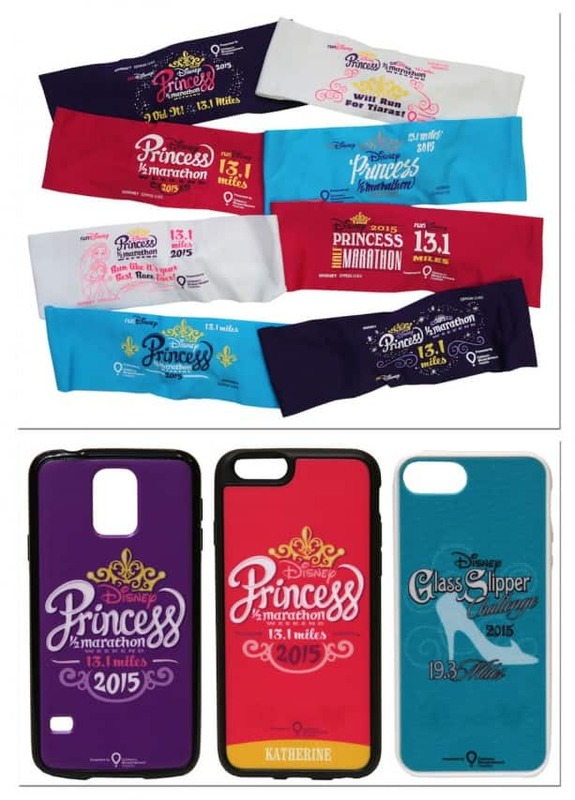 Select bags will contain a specially designed Princess Half Marathon 2015 hangtag. Thursday, February 19 – 10:00 a.m. – 8:00 p.m.
Friday, February 20 – 9:00 a.m. – 7:00 p.m.
Saturday, February 21 – 9:00 a.m. – 5:00 p.m. I am also interested in buying some items from this past year. Is there a place to purchase? I agree. I arrived to the expo on Friday morning at 9 am and was disappointed to see that the “glass slipper” jackets were sold out. I arrived home to find them on ebay marked up $60. Is there a possibility of ordering these online in the future? Steven, is it possible to purchase some items after the race? I did the half this weekend and regret not buying some items. I just saw Daniel’s question #44 above…any news yet since the Half Marathon is being run now. Do you have the Doony Bourke pouchette cross body (the middle size) for sale? How is it they are already selling on eBay? Thanks for your time! Anxious to hear from you! Is it true the D&B purses are sold out? Any chance they will bring more out for the expo tomorrow? Can you tell me when the phone cases will be available at the Co-op? @Dianne – The phone cases should be at the Marketplace Co-Op starting today. 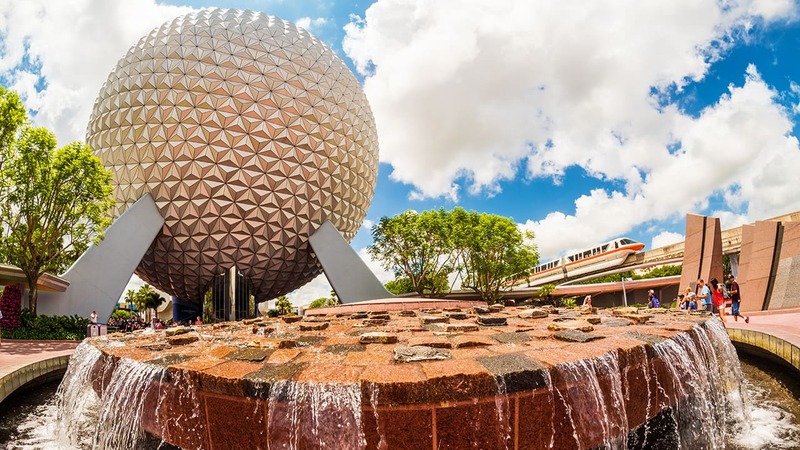 Will WDW Annual Passholder discounts apply to any of these items? @Melanie – I spoke with the operations team. They said that Passholder discounts should apply for the Disney created items at the runDisney Health & Fitness Expo. If the Dooneys don’t sell out at the event, will they be available anywhere afterwards, as the Food & Wine bags have continued to be available at Epcot? @Deanna – That’s a great question. I won’t have an answer to that question until after this weekend. Thank you for the wonderful information… can’t wait to get to the expo! Hi Steven…boy you got swamped with questions. Are the D&B folks going to be in their normal location? Just want one bag…but am afraid of their being a huge wait for them. How much will the Bondi/Sweaty bands run? I am so excited that they will have an “I did it” Frozen 5k shirt! Will there be any kid race merchandise besides the hat? Thanks! @Amy – Bondi Bands will be $9.95 each and Sweaty Bands will be $14.95 each. The Kid’s races will only have the hat as a merchandise offering. It was a pre-sell item that was sold at the time of registration. How much is the half hat and the half I did it shirt? Also is the thing between the top shirt and the princess hat a magnet? @Melissa – The hat will be $24.95 and the tee will be $32.95. The item between the two is a logo pin. Are there going to be anymore half marathon “I did it” t-shirts? I was hoping there would be some pink/white “I did it” t-shirts. @Courtney – There will only be one shirt as shown above. Do you know if Disney gift cards are accepted for “RUNDISNEY” merchandise at the expo? @Jessica – From my understanding, Disney Gift Cards would be accepted as payment at the Disney registers in the Expo. These would be the registers that are staffed by Disney merchandise Cast Members. How do I pre register for the runners?? @Barbara – I’m unsure how to answer your question. Are you referencing how to pre-register for the race? For merchandise? Will there be a Frozen themed Dooney purse anytime soon? I can’t imagine them not doing one but would love to know! I am so incredibly excited! Thank you for posting these!! Can’t wait for next week!! Hi Steven, would you be able to verify what the pricing will be for the “I did it” shirts for the Princess half. Also the phone cases and head bands, will those be available at the Expo and what is the price range on those as well? Thank you!! @Magdiely – I’ll have to ask the team. I know that the D-Tech on Demand cases will only be offered at the Marketplace Co-Op in Downtown Disney Marketplace. Custom cases are $36.95 each while personalized cases are $44.95 each. Hi Steven! Hoping there with still be Princess Half “Will Run for Tiaras” jackets when I arrive Friday afternoon, can you please tell me the price of this jacket? Thanks! @Susan – The jacket will have a retail of $84.95. Steven, thanks for being our ‘eyes and ears on the ground.’ 🙂 A few additional questions… how much is the tervis-type water cup with the purple lid? Also, will there be a glass slipper challenge hoodie sweatshirt available? (If so, do you know what color/cost?) Lastly, I, too, would LOVE to know cost and dimensions of the D&B purses if you have that information. Thanks in advance for your help! @Kristy – The tumbler will be $16.95. There will not be a Glass Slipper Challenge hoodie offered this time. I’m waiting for information from the accessories team about the Dooney & Bourke items. Will there be any way later to buy the Dooney bags if you can’t attend the race? You never have bags with Princesses on them and when you finally do, we can’t buy them. 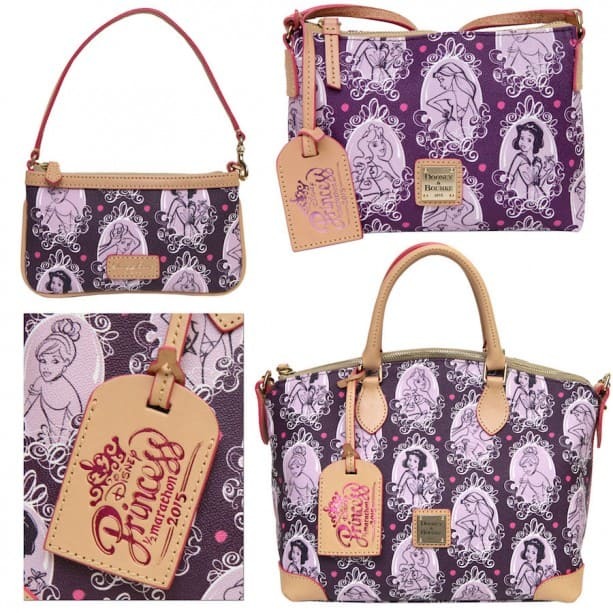 Please request to have princess Dooney bags available for everyone. @Stephanie – The runDisney Health & Fitness Expo is open to all Guests. You do not have to be participating or running in order to purchase these items. How are you able to get your bib number ahead of time to pre-reg for the NB sneakers on Friday morning. I thought you could only get your bib number at packet pick up at the expo? Any idea about how much the tumblr/cup/thing will be? @Chelsea – The tumbler/cup thing will be $16.95. Thank you for offering a I did it shirt for 5k and 10k. For some that is a BIG STEP. 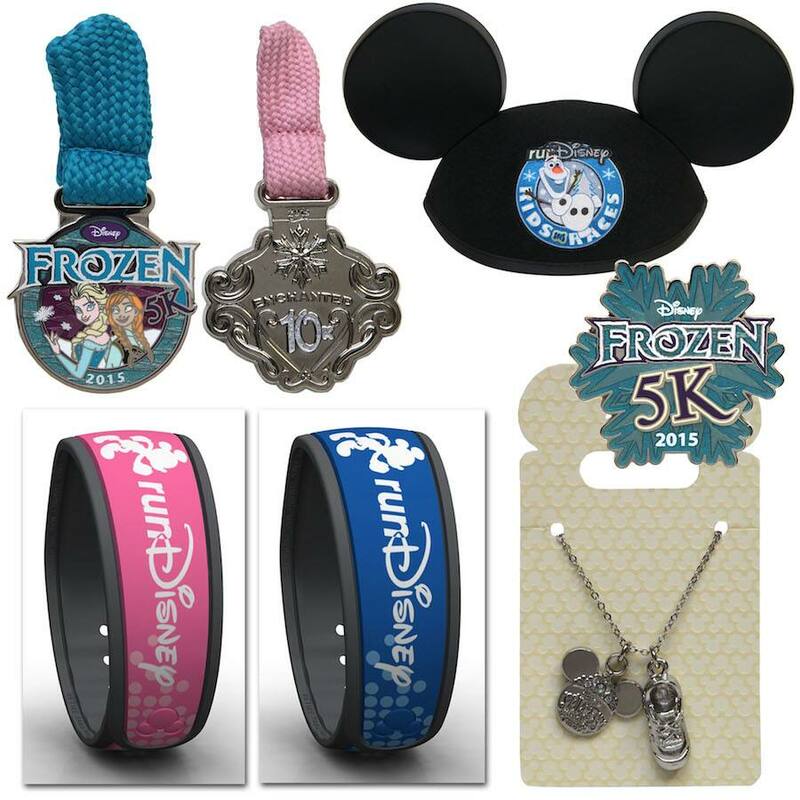 1) Can items purchased at the runDisney booth be purchased with a magic band/charged to a Disney resort room? 2) Is there a cast discount available on any of the runDisney merchandise? On the D&B purse? @Scott – You can make purchases with your MagicBand provided you are staying at a Disney Resort hotel. Normal Cast Member discounts will apply. Is it possible to get the prices & sizes of the Dooney and Bourke items? Would like ot be prepared, thanks! @Julie – Here is some information. Is there a way to order a D&B purse, if I will not be able to make it to the expo? I would really like one! @Susie – We are not currently offering pre-orders or alternate methods to purchase these Dooney & Bourke items. They will be released at the runDisney Health & Fitness Expo on a first-come, first-serve basis. Are the 2014 new balance shoes going to be available? @Elaine – Yes. Please see my reply to Question #3 above. Steven, THANK YOU SO MUCH for you response about the 5k and 10k merchandise! I am thrilled!!!! Steve, will there be a limit on how many Dooney and BOurke’s one oerson can purchase? It’s sad that many of us runners may not be able to purchase one because we can’t be there when the EXPO opens, loosing out on the opportunity to purchase one for ourselves before the non-runners and “shoppers”. @Ellen – I spoke with the operations team. There will be purchase limits in place for the Dooney & Bourke items. The team said they have used purchase limits for a few years now. Guests may purchases a maximum of two items per style, per day. Since there are three different styles this year, a Guest could purchase a total of six things (two of each style). I hope this makes sense. @Sagineth – The hat will have a retail of $24.95 and the stemmed glass will be $12.95. Will race registration be needed to purchase Dooney’s? @Ashley – Race registration will not be needed to purchase the Dooney & Bourke handbags. Things will be offered on a first-come, first-serve basis once the runDisney Health & Fitness Expo is open. 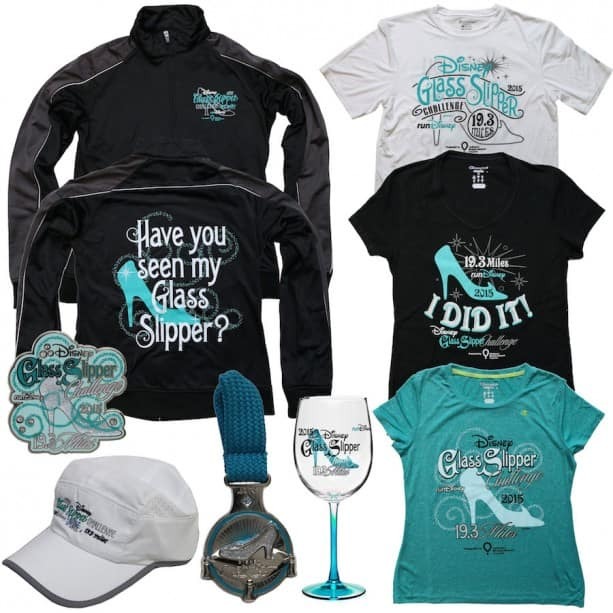 LOVE the Glass Slipper Challenge merchandise! I just hope I don’t “jinx” myself buying an “I Did It” shirt before I actually do it!! Thank you for posting, I am so excited to be running this race!! Since there was no pre-sale for the Dooney handbags for registered racers, is there a way that we can guarantee getting a bag if we are not at the expo until Friday? @Ciara – Unfortunately, we do not currently offer an option to reserve bags. Items will be sold on a first-come, first-serve basis once the runDisney Health & Fitness Expo is open. 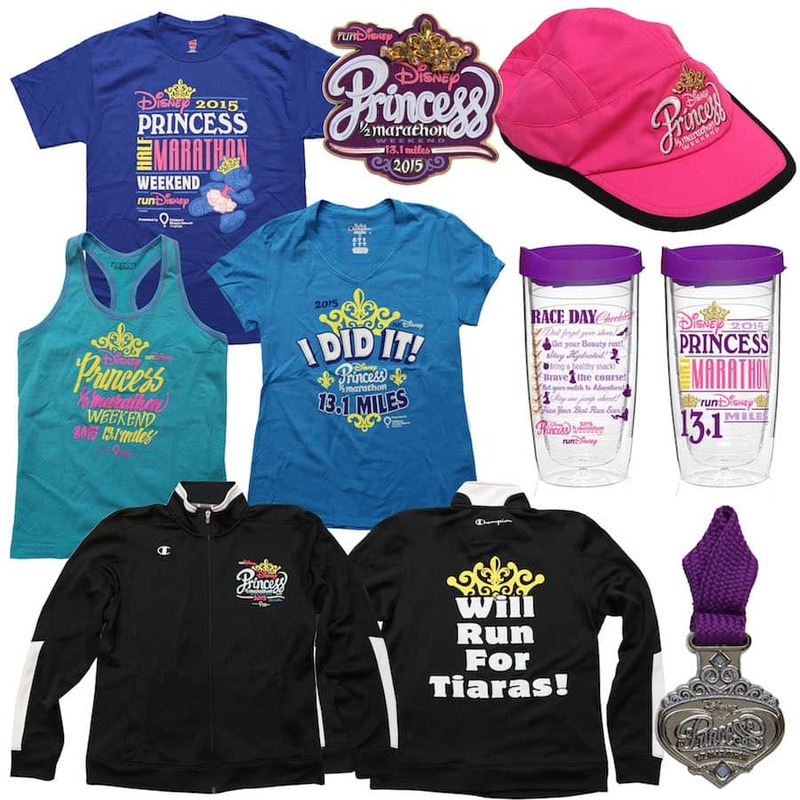 This merchandise is absolutely beautiful… but why is there such a shortage of merchandise for the 5k and the 10k? Respectfully, some people just aren’t able to do the longer distances, but we should still be able to celebrate with high quality merchandise! There really should be more variety, at all of the RunDisney weekends, than just pins or generic weekend shirts, etc. I, especially, would love to see a jacket for at least the 10k! @Meaghan – Thank you for your feedback. I have shared it with the merchandise events team. There will be an “I Did It!” shirt for the 10K along with a logo pin and a small medal replica pin. For the 5K, there will be an “I Did It!” shirt offered as an on-demand printed item at the Expo. Oh boy, I better bring lots of money! lol! Everything looks great! I definitely want that “I Did It” shirt. Is that the commemorative pin & necklace that I pre-purchased on my registration? @Tammy – The logo pins and the necklace were offered as pre-order items. The small medal replica pins will be released at the runDisney Health & Fitness Expo. Beautiful! Are those the pre-order pins? @Jennifer – The logo pins are the pre-order pins while the medal replica pins will be released at the runDisney Health & Fitness Expo. @Laura – Glad to hear of your excitement! From my understanding, an image of the pre-order jacket will not be released before the event. @Lindsey – That’s difficult to say as it will depend upon popularity of items with Guests attending the Expo. Historically speaking, some items have sold faster than others but I really can’t say which items those will be this year. I’m sorry I don’t have a better answer. Will there be any 10K merchandise available? @Gretchen – There will be an “I Did It!” tee, a logo pin and a small medal replica pin. Will runners be allowed to preregister for shoe purchases like with the Marathon weekend in January? 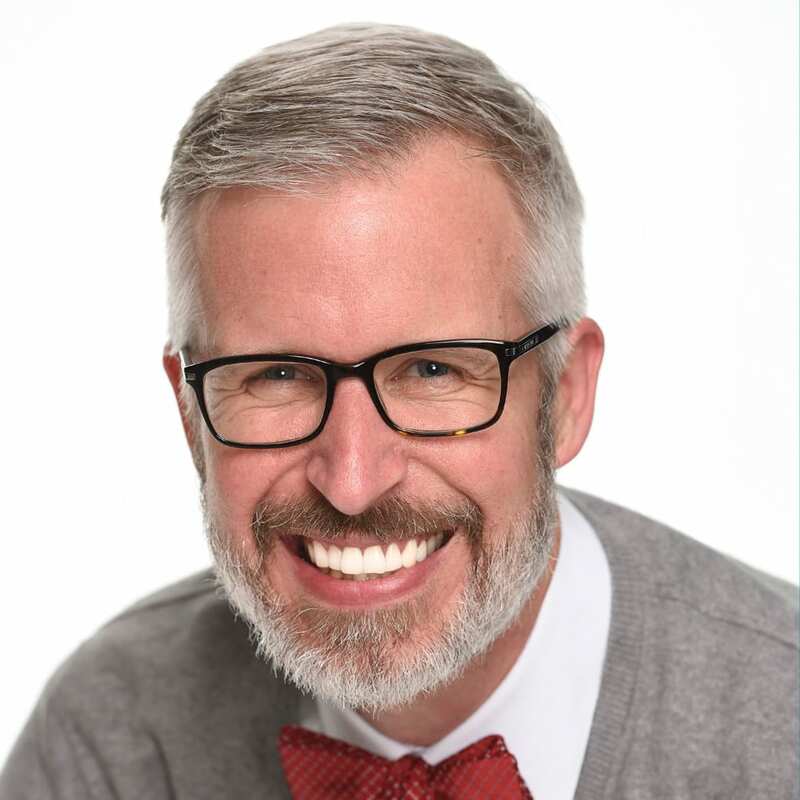 @Robin – I spoke with the runDisney team who said the process will be the same as Marathon Weekend in January. Runners can sign up using their bib number at 6:00 a.m. on Thursday, February 19. The queue will be open to everyone on a first-come, first-serve basis starting at 6:00 a.m. on Friday, February 20 and Saturday, February 21.
any news on hidden mickey pin release date we are coming early march 15 and were hoping they would be out by then. @Richard – The pins are currently in production. I do not have any updated release information at this time. There will be a Disney Parks Blog article once details are confirmed. Please stay tuned. All of the merchandise looks fabulous! Just curious–will the Glass Slipper jackets be available or were those strictly pre-order? They are stunning!